Wired-up athletes have become a staple of broadcast-sports audio, from baseball players carrying on conversations with announcers in the booth while chasing down long fly balls to creating an entirely new class of blooper reel. Sebastian Failla has watched the category take off over the past five years, since he introduced Action Audio Apps, a Westchester, NY, tech startup that aggregates sound from wired-up players into a show pushed out over Wi-Fi to attendees’ mobile devices within the stadium or arena. Action Audio Apps targets younger fans with in-venue audio on a familiar platform. “We try to give the fans in the stands the same experience that home viewers are getting from miked-up players,” he says. 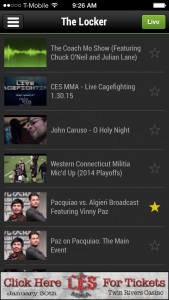 Action Audio App has bubbled away on the edges of the market, making deals with minor-league teams and regional sports leagues, such as the Danbury Whalers of the Federal Hockey League (FHL) and teams in the Ontario Hockey League (OHL), as well as a number of professional boxing matches and MMA matches. Most recently, Action Audio has been integrated into the venue Wi-Fi at NESN’s Slugfest at the Sun series, which is promoted by Star Boxing, airs on NESN, and includes light-heavyweight Joe Smith Jr.’s return to the ring last June. The app, which Failla says has seen more than a half million downloads since its introduction, also had a relationship with the Arena Football League Orlando Predators before the team folded in 2016 and has done some work with drag-racing teams. Major leagues have so far been out of reach because of concerns about content, says Failla. But he is exploring relationships with the NY Islanders’ Sound Tigers AHL franchise in Bridgeport, CT, and with some NFL teams in training camp. Fans can download the Action Audio App to iOS and Android smartphones or tablets and hear player and other personnel audio from the locker room onto the field, including the bench and the penalty box. 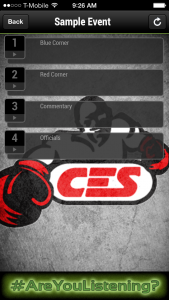 The audio remains nominally under the control of the team or league, but, says Failla, the regional leagues have been content to leave Action Audio Apps’ mixers in charge, protected by a 3.5-second delay. Eight channels of signal from Quantum5X transmitters — the same ones used by the NBA and MLB for their miked-player audio — are sent from RF receivers to a portable Behringer X32 audio console. In hockey, multiple player microphones may be assigned to the same channel, subdividing the teams on the ice, with other channels assigned to coaches, referees, and the penalty box. An open microphone is located at the mix position, and Action Audio Apps’ own commentator talent may bring a player or coach tableside for a quick interview or may clarify rules on a close call. 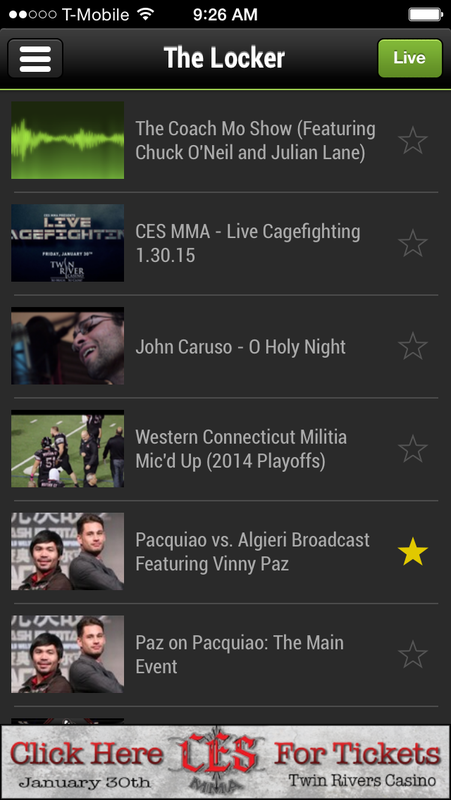 Besides live audio, Action Audio Apps offers a variety of shows. Failla has been able to get his microphones into some spots that broadcast hasn’t. That includes a halftime locker-room pep talk by Dennis Rodman to the Orlando Predators during their playoff round in 2013. Given the rapid adoption of player sound for broadcast in recent years, Failla believes it’s a matter of time before younger sports fans begin to demand the same kind of sound in the venue, through platforms that they’re familiar with, such as smartphone apps. He’s not disappointed that teams and leagues have thus far focused solely on broadcast.